The eLearning Alliance Project - Does a Slow Down in Self-Paced E-Learning Signal Growth for Other Learning Technologies? 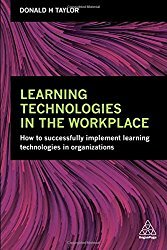 Does a Slow Down in Self-Paced E-Learning Signal Growth for Other Learning Technologies? The growth rate for self-paced e-learning in the United States is now negative at -2.7 percent, according to the recent Ambient Insight report, The 2015-2020 Self-Paced E-Learning Market. According to Ambient research, U.S. revenues will drop from the $21.3 billion reached in 2015 to $18.6 billion by 2020. But is this good news for other learning tech options that have been positioned for growth? “There is ample evidence that consumers are opting for mobile learning products instead of e-learning, and this is cannibalizing revenues in the segment,” Ambient Insight chief researcher Sam Adkins. This is known as product substitution in market analysis. A major catalyst affecting the revenue rates of self-paced e-learning is the reduction of training and education budgets in the organizational buying segments. Ambient notes that although training and education budgets have been increasing for the last three years, it is in the context of the deep cuts made during the recession. Read the full story at ATD.